My original production Mod Freq has been snapped up and synced to a film! I recorded this track last year, with my own vocal and production but chose not to release it since it was recorded during a painful end to a long term relationship. But now I'm so pleased that the director of film decided to use the track and I was able let the fruits of my hard effort go to good use in their fabulous film! So far they've screened at the BFI festival and the Rio theater in London with more dates to announce soon. 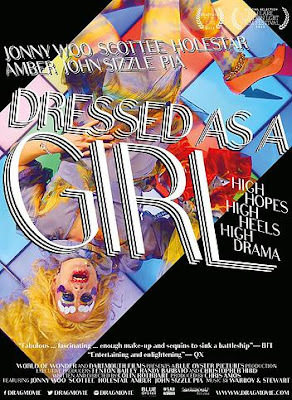 Its a brilliantly entertaining and relevatory "frock-documentary" with real life footage of London's Drag Artists. Expect colorful characters, dramarama and some surprising gritty, truly human, emotion.